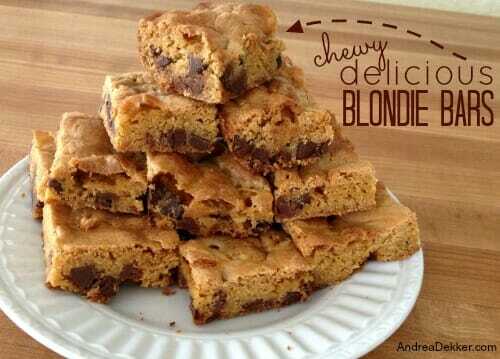 One of my favorite go-to bar recipes is this one for Chewy Delicious Blondie Bars. I got it from my sister’s mother-in-law, and it’s a winner! 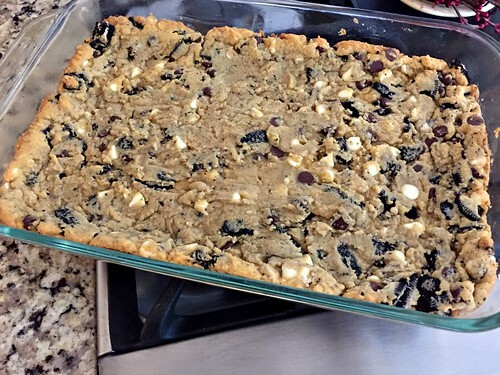 These bars are SO quick and easy to make, our entire family loves them, and I don’t think I’ve ever brought leftovers home when I make them for a get-t0-gather. 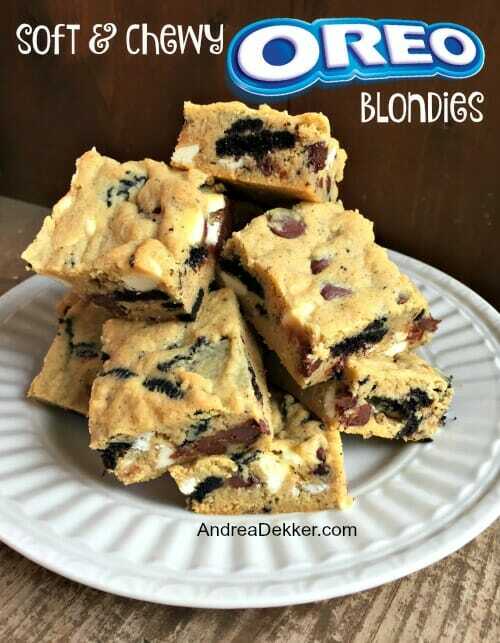 In my opinion, blondies are a fantastic alternative to regular brownies, they are much faster than making cookies, and they are a great substitute for peanut-butter-laden desserts that aren’t allowed in most schools. 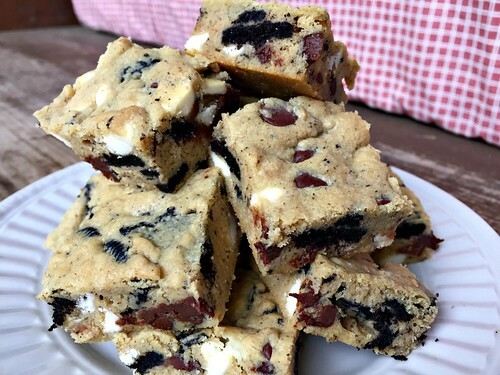 If you have trouble eating just one of your favorite dessert, you might not want to make these bars — either that, or make them with the intention of bringing them to a party. I promise, you won’t bring many home with you! Preheat oven to 350ºF. Grease a 9″ x 13″ baking pan and set aside (I always use glass for this recipe, otherwise the edges tend to burn before the middle is set). 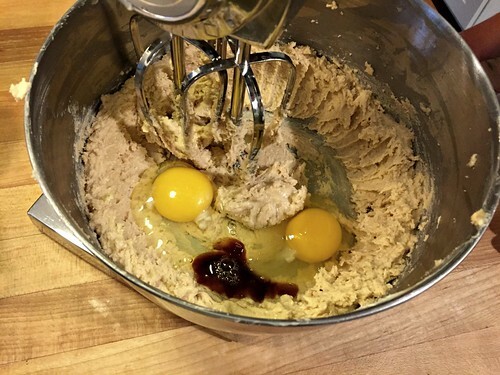 In a large mixing bowl, cream butter and sugars. 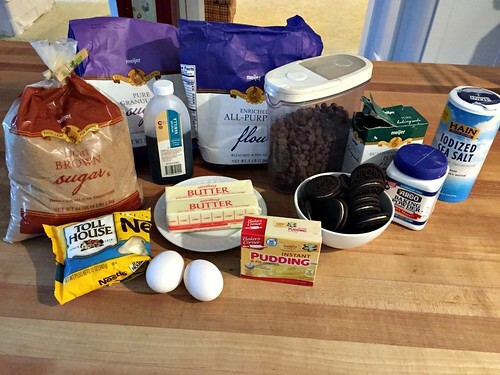 Add in egg and vanilla, mixing until well combined. 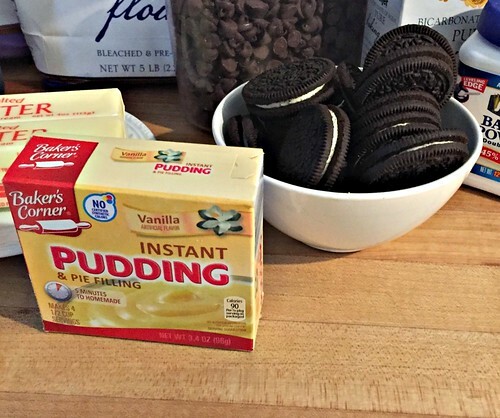 Add in dry pudding mix and cream for 1 minute. 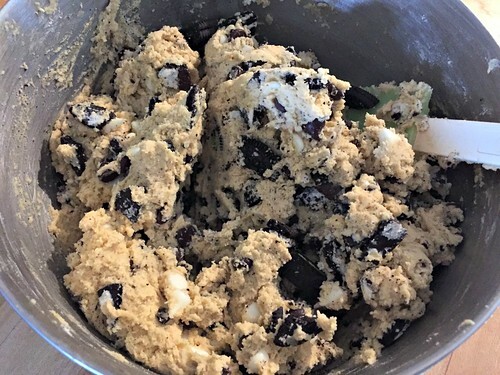 Add in flour, salt, baking soda, and baking powder until just combined. 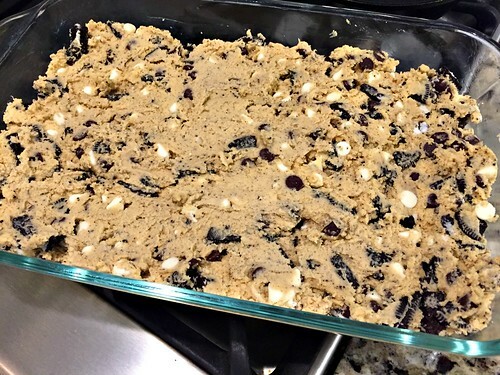 Spread batter into prepared pan (it will be VERY thick), and bake in preheated oven for 20-22 minutes. These bars practically melt in your mouth — probably because of all the butter! They are quite rich, so we cut our bars very small (35 bars from one 9″ x 13″ pan). It helps them last a little longer, and saves a few calories too! 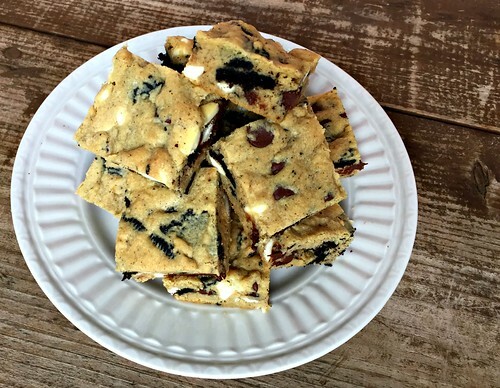 What are your favorite OREO snacks and desserts? I made these last month…oh my word. Bless you. I thought I could make them last longer by freezing half, but the guys kept asking for them and they didn’t last long in the freezer. Oh well, I guess I gotta make some more. I made these this weekend and they were a hit! Thanks for sharing! Aren’t they amazing!! I only make them if we’re going somewhere so others can “help” us eat them, otherwise our family just can’t stop eating them! One question…. 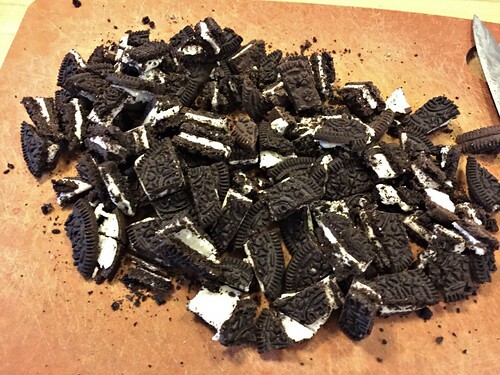 How do you ever have stale Oreo’s? We have never had that issue in our house…. they do not last that long. Andrea, these are SOOO addictive! My family has Celiac, so I adapted for gluten free by using a GF all purpose baking mix, (Pamela’s), and GF sandwich cream cookies, (Midel but Glutino makes good ones too). Maybe I shouldn’t have made them because I’m having a tough time practicing moderation. But I did use your tip and cut the portions very small. Thanks for sharing! Glad to hear you made GF substitutes with good results! Thanks for sharing! Hi Andrea! My daughter and I made these, and they are incredible! We were out of vanilla pudding mix, and substituted in chocolate pudding mix. 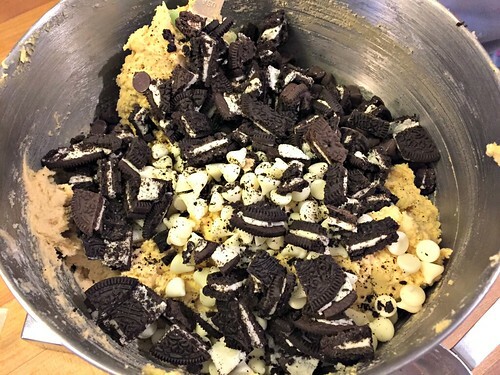 It worked great, just turning them into Soft & Chewy Oreo BRUNETTES instead. 😉 Thanks for a great recipe! I made these last night for our youngest son’s birthday. He doesn’t like cake and we’ve always done ice cream or a big cookie cake for him. Everyone loved them and they’re very easy to make!! You really can’t screw them up. They are very rich and decadent so I cut the servings small. Thanks for the recipe. awesome!! Yes, SUPER RICH! I cut them basically like fudge so everyone just gets a little taste.